The New Haven Register reports that Yale senior and men’s basketball captain Jack Montague was in fact expelled, although it has thus far been impossible to verify the official reason behind his expulsion. A number of students on Yale’s campus have told Jezebel of Montague’s expulsion this week, but we were unable to confirm this through the school, the athletics department, Montague’s teammates, or Montague himself. Thursday evening, the Register published a quote from Jim Montague, Jack’s father, who pronounced his son’s expulsion “ridiculous” and, in doing so, appeared to have accidentally released a new piece of information. The Register also quotes a “source close to the basketball team,” who refuted a rumor we’d heard from sources that the team is planning a walkout at an upcoming game. 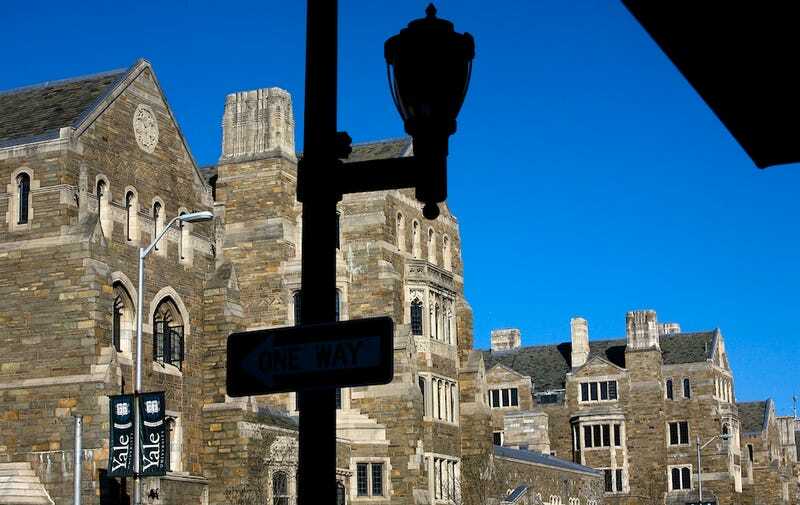 On Thursday, the Yale Women’s Center re-issued a statement on the matter that removed a sentence speculating on the reason for Montague’s expulsion, stating that “Unfortunately, parts of our original statement have been taken out of context by media outlets, which obstructs the positive conversation we hope to have.” Their full statement, which emphasizes the power of students to shape their own campus climate and social norms, can be read here.